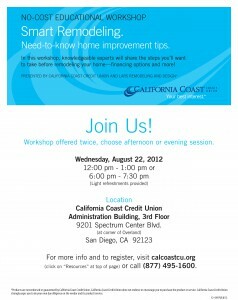 Lars Remodeling & Design and California Coast Credit Union will be hosting a complimentary Smart Remodeling educational workshop on August 22, 2012. 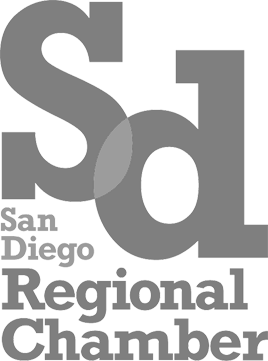 We will be offering 2 sessions, from 12:00 pm – 1:00 pm and 6:00 pm – 7:30 pm at California Coast Credit Union Administration Building, located at 9201 Spectrum Center Blvd, 3rd floor, San Diego, CA 92123. 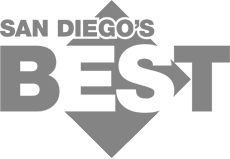 Experts from Lars Remodeling & Design will be on hand to share the steps to take before remodeling your home. And with interest rates still very low, now is the time to consider adding value to your home with custom remodeling solutions from Lars Remodeling & Design. 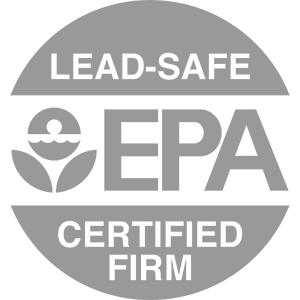 We look forward to seeing you there and answering all of your home remodeling questions.